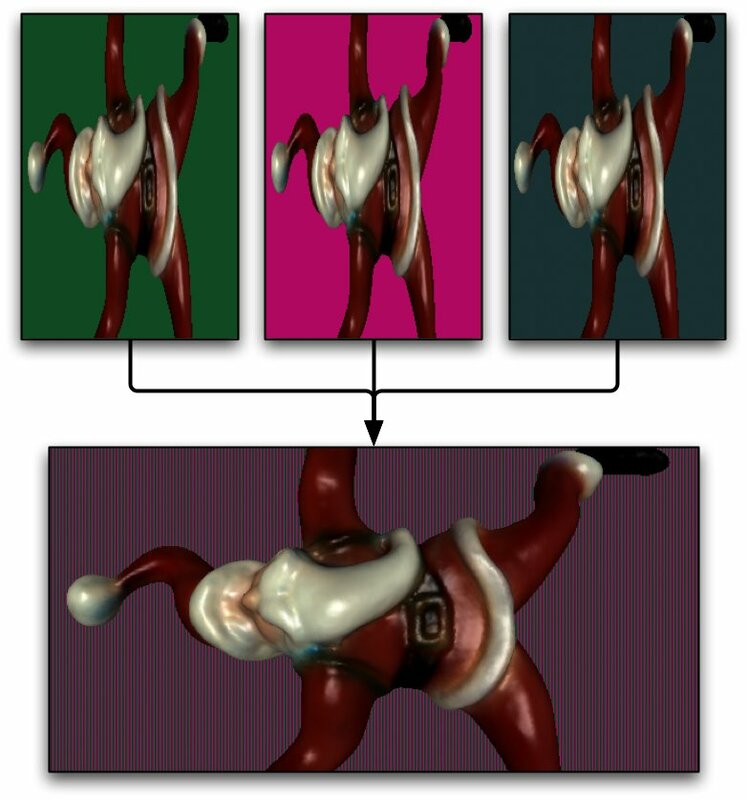 The Equalizer source tree now contains support for DPlex decompositions. This was the last scalable rendering feature missing, which means that the client library is now 1.0-ready. Yeah! But fear not, we’ve got plenty in store for the following Equalizer releases leading to the 1.0. And even after version 1.0 we have plenty of features and optimizations in store to push the boundaries of scalable rendering performance. 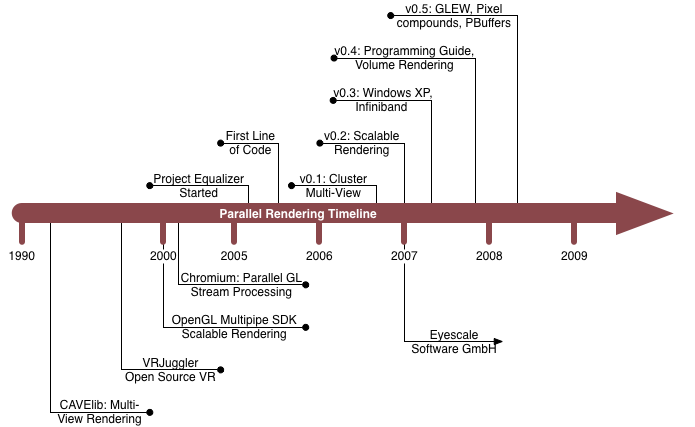 On the right there’s a simple timeline of the most important toolkits for parallel rendering, naturally with more details for Equalizer. I plan to extend this over time, and maybe even creating one with the major hardware milestones.